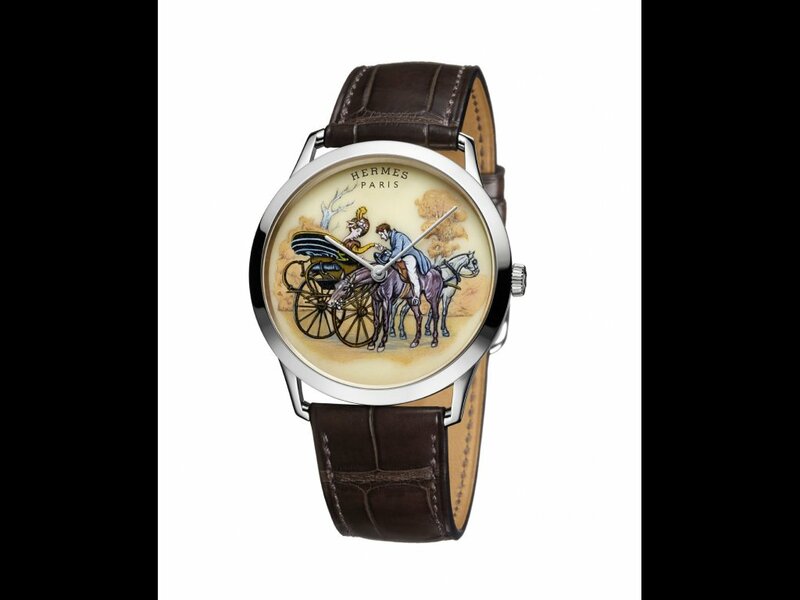 If ultra-precise, exacting mechanical watches live on one side of haute horology, the other is home to more poetic, figurative expressions of timekeeping – and an arena in which Hermès reigns supreme. 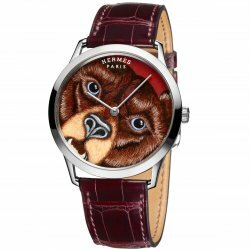 At Baselworld this year, Hermès created two of the fair’s most talked-about timepieces: the L’Heure Impatiente and the delightfully named Grrrrr, which both hail from its Slim d’Hermès line. 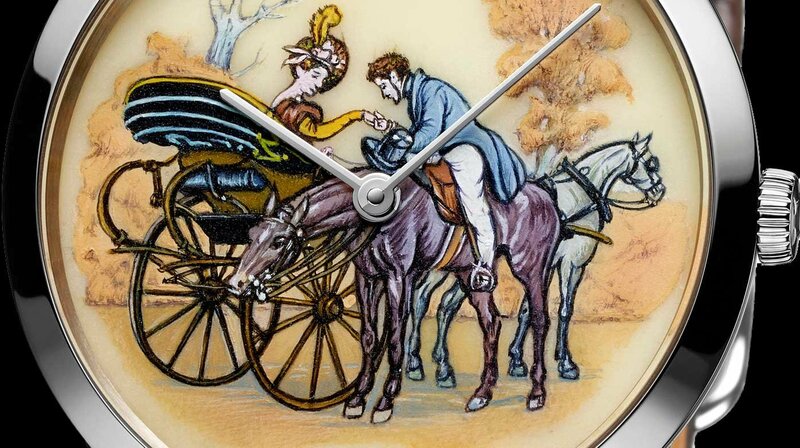 The former riffed off the idea of anticipation – a clandestine rendezvous comes to mind – featuring a 60-minute countdown indicator. 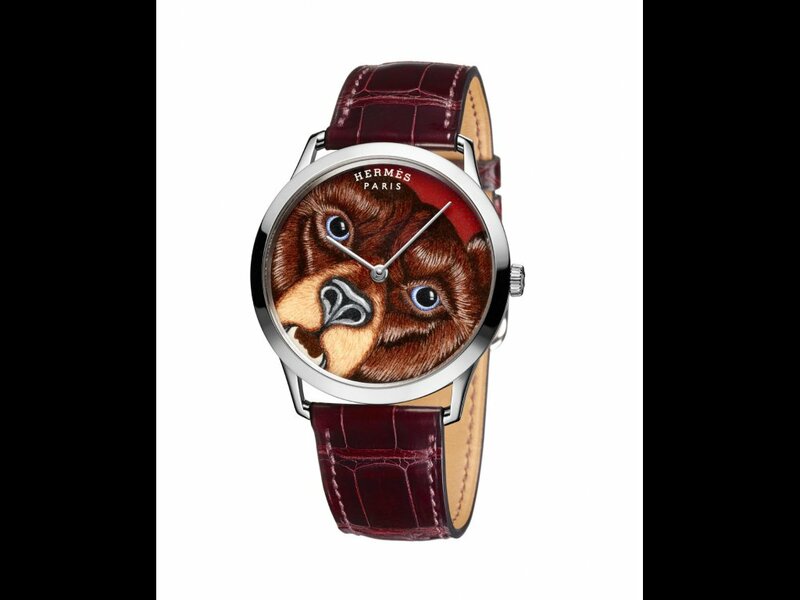 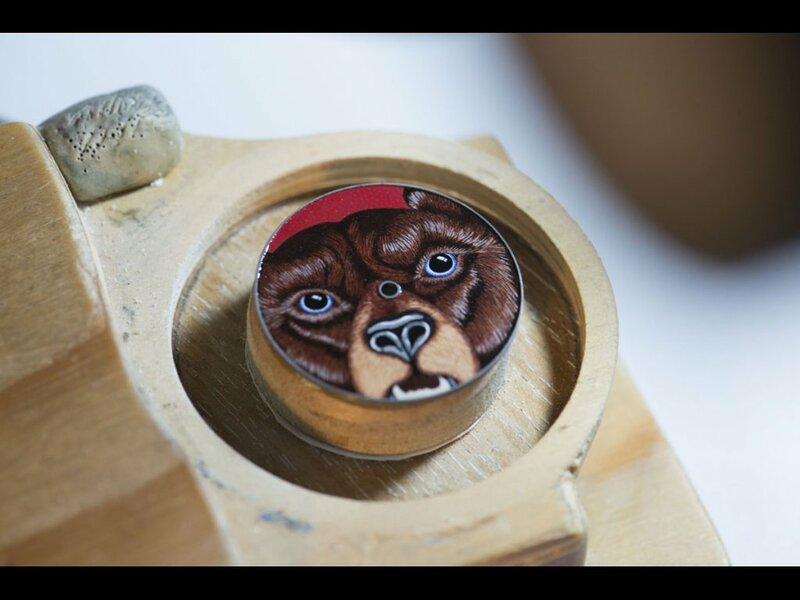 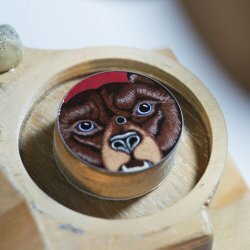 Meanwhile Grrrrr depicts a bushy brown bear on a miniature painted enamel dial, its off-centre gaze playfully peering through the glass. 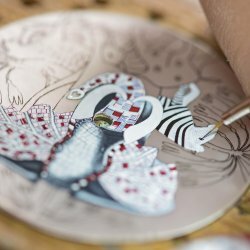 Grrrrr takes its cue from a Hermès scarf designed by the British artist Alice Shirley, whose nature-inspired themes – which range from animals and plants to sea monsters and plate tectonics – have graced Hermès textiles, beachwear and interiors since 2012. 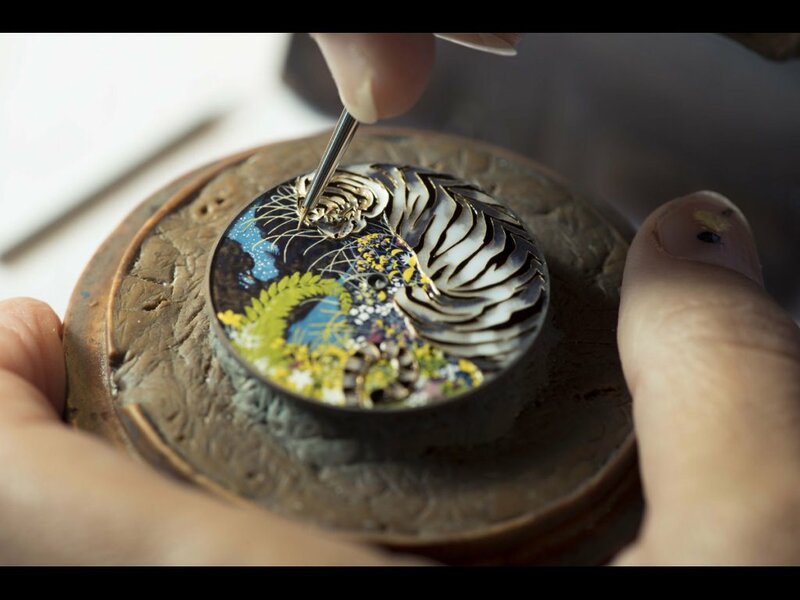 Indeed the maison’s scarves are a rich source of inspiration for La Montre Hermès, and in this vein, four new miniature painted pieces have recently launched - two motifs of which were plucked from its scarves. 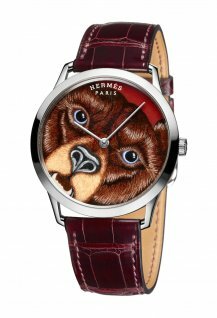 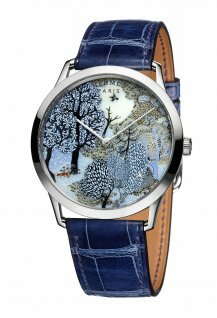 Ms Shirley’s hand again features, now on the Slim d’Hermès Dans un Jardin anglais, of tiny wildlife gliding through a mythical, sylvan setting. 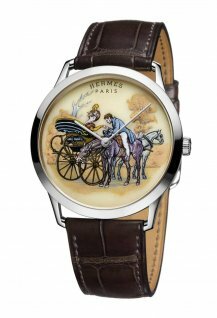 Meanwhile, the earthy tones in the Slim d’Hermès Promenade de Longchamp is more autumnal, and is the handiwork of veteran Hermès scarf collaborator Philippe Ledoux. 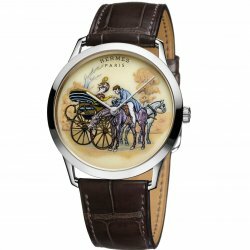 Known for his aristocratic equestrian scenes, this one illustrates a genteel meeting of man, woman and their respective steeds. 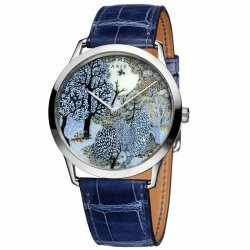 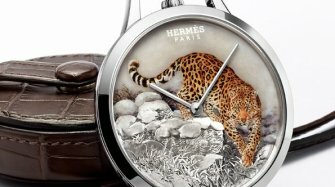 Philippe Delhotal, creative director of La Montre Hermès, says that selecting scarf motifs for watch dials is a fine balance of sharp detail and feasibility. 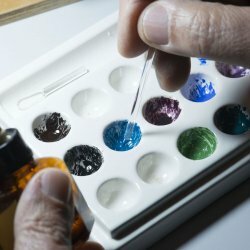 “It has to be exactly as the sample,” he explains. 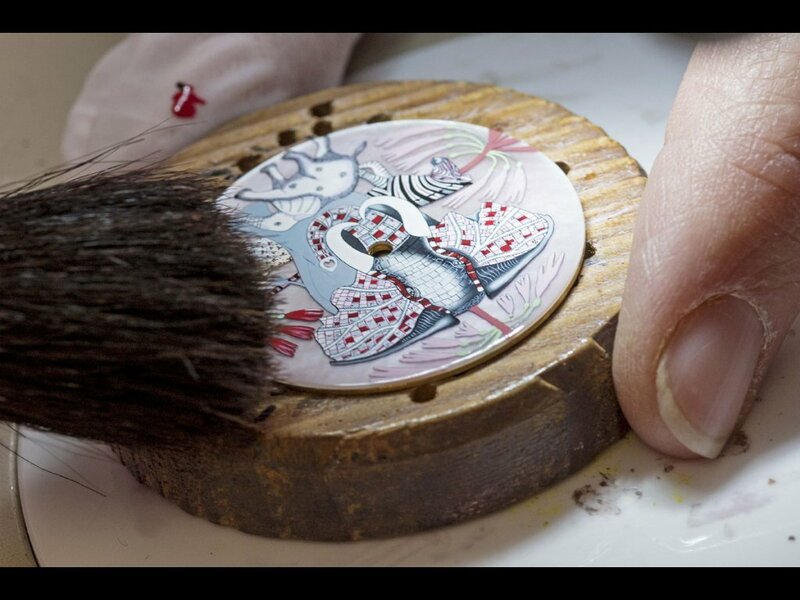 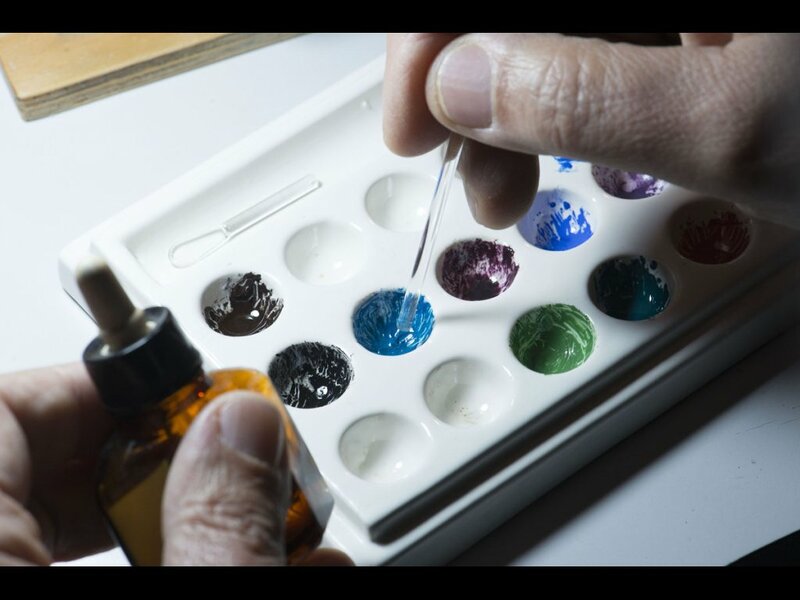 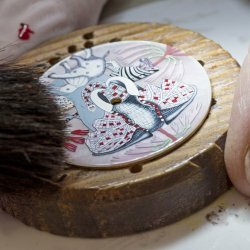 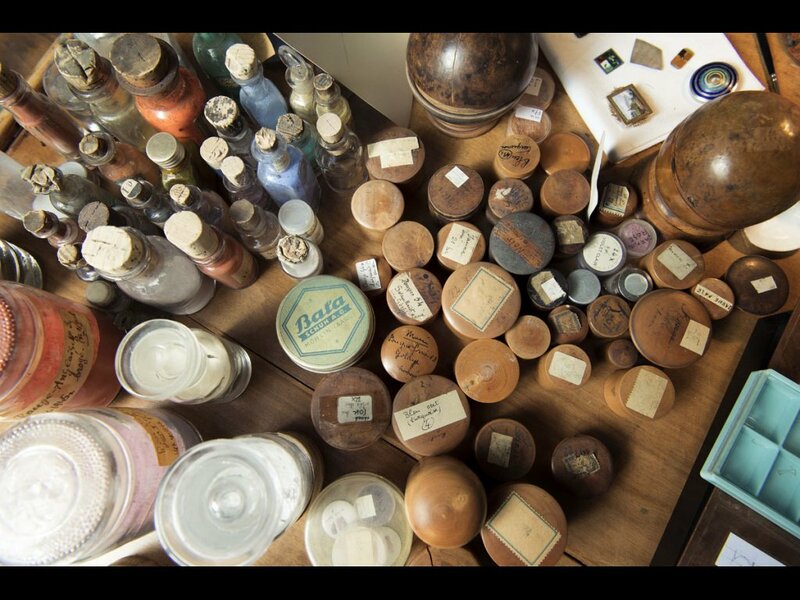 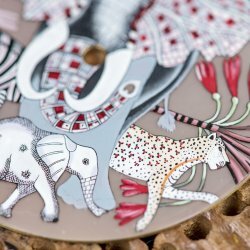 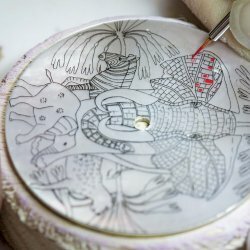 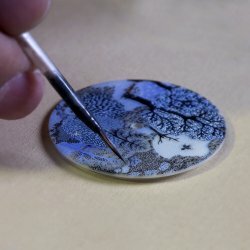 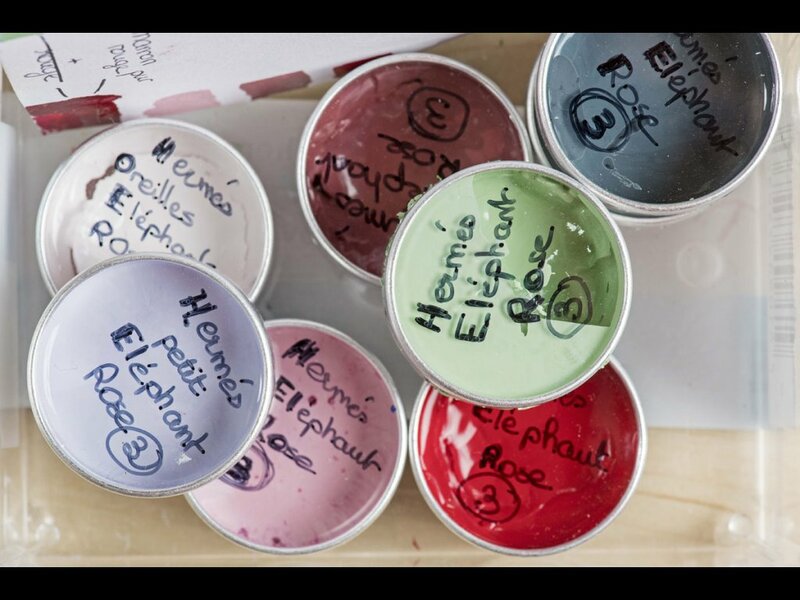 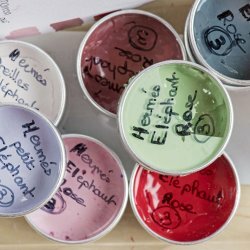 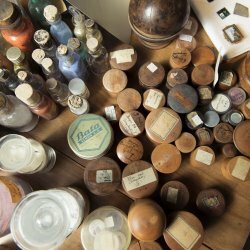 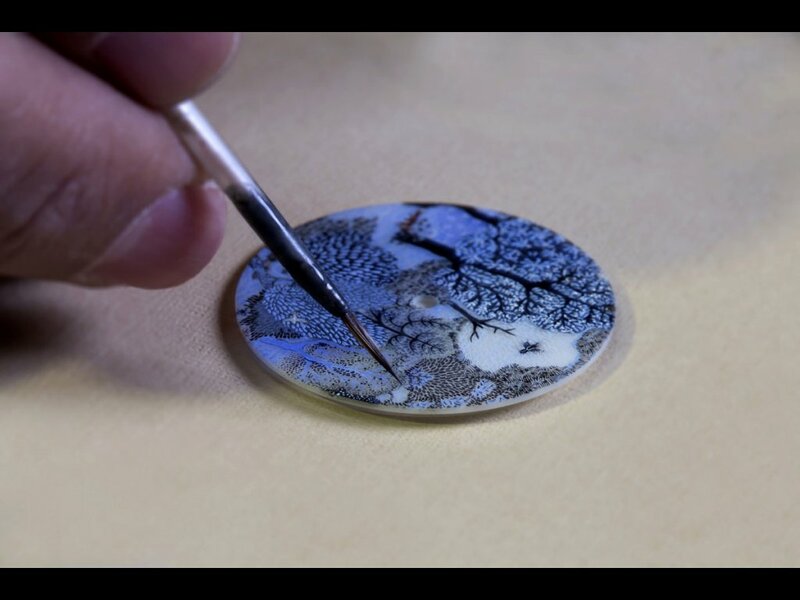 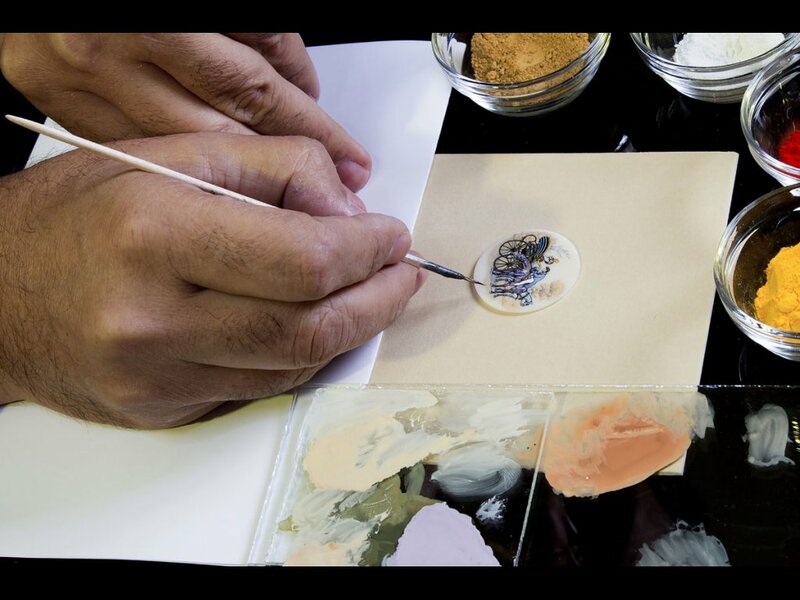 “A sketch of the whole design is first made, then the colour applied to the base and finally, the details are added with stronger or lighter colours using very fine brushes.” Each dial can take up to 15 days of work, and with super high firing temperatures, breakage is common. 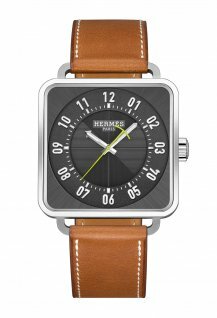 Set in 39.5mm, white gold cases and water resistant to three bar, both designs feature the ultra-thin (2.6mm) H1950 self-winding mechanical calibre. 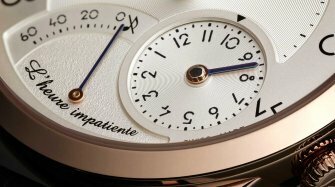 Limited to 12 pieces each, the dials are most notably made from camel bone, a porous, powder-like material that highly absorbs colour and which Mr Delhotal praises for being “very strong and intense but also fragile”. 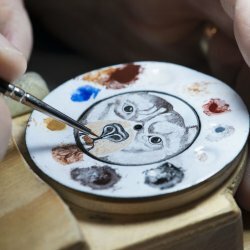 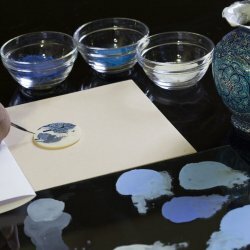 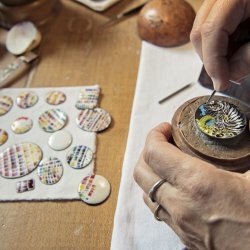 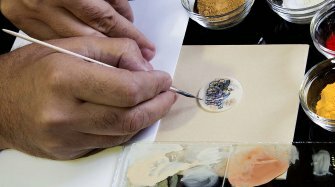 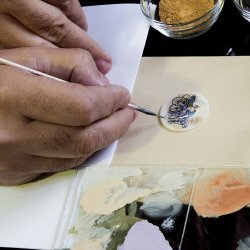 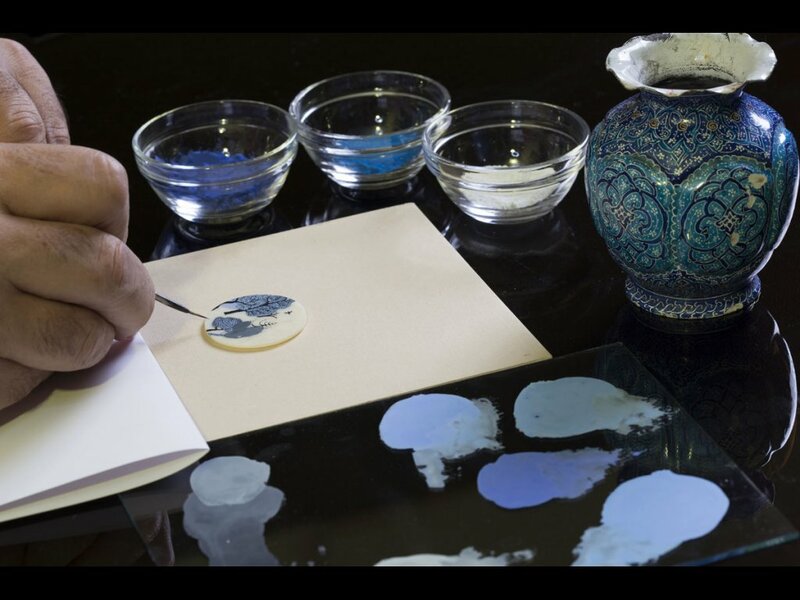 Reviving an ancient Iranian decorative art used for miniature painting literary and religious volumes, camel bone is for the first time being used in watchmaking, says Delhotal. 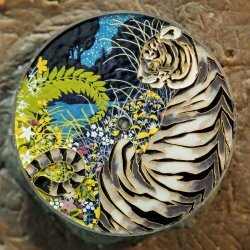 Nature too lends its mysteries to the other creations. 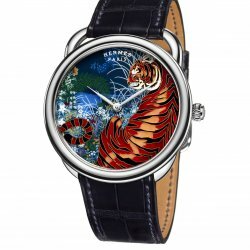 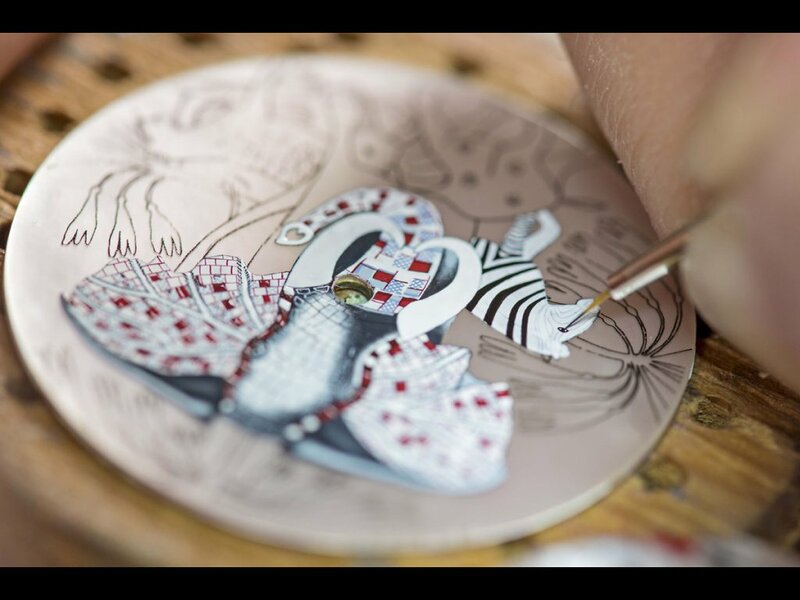 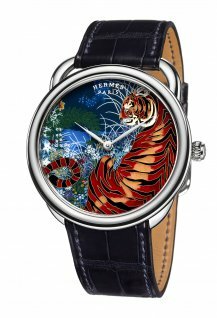 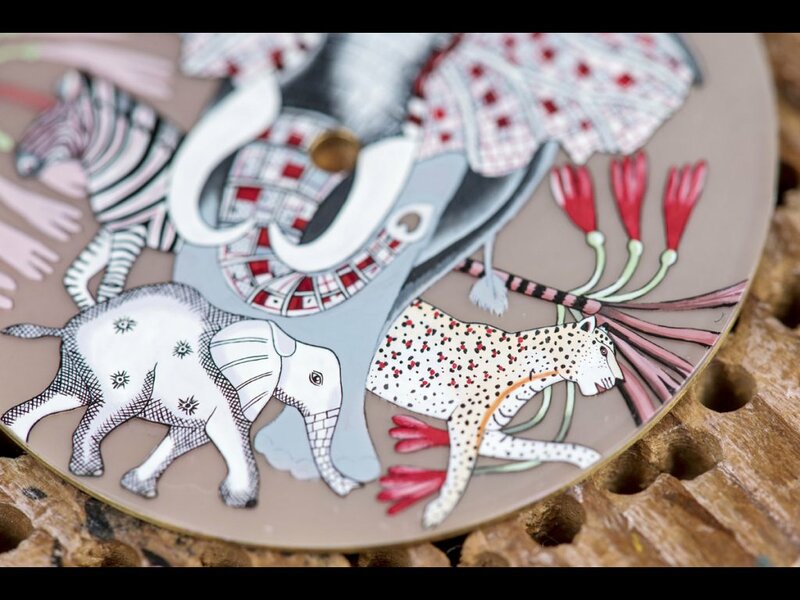 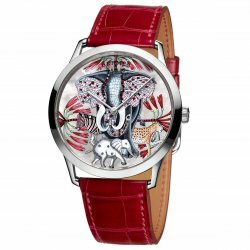 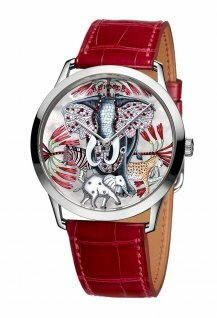 The Slim d’Hermès Marche du Zambèze shares technical specs with the aforementioned pieces, but here with exotic wild beasts – a vividly painted zebra, leopard and mother and baby elephant – shimmering on a mother-of-pearl dial. 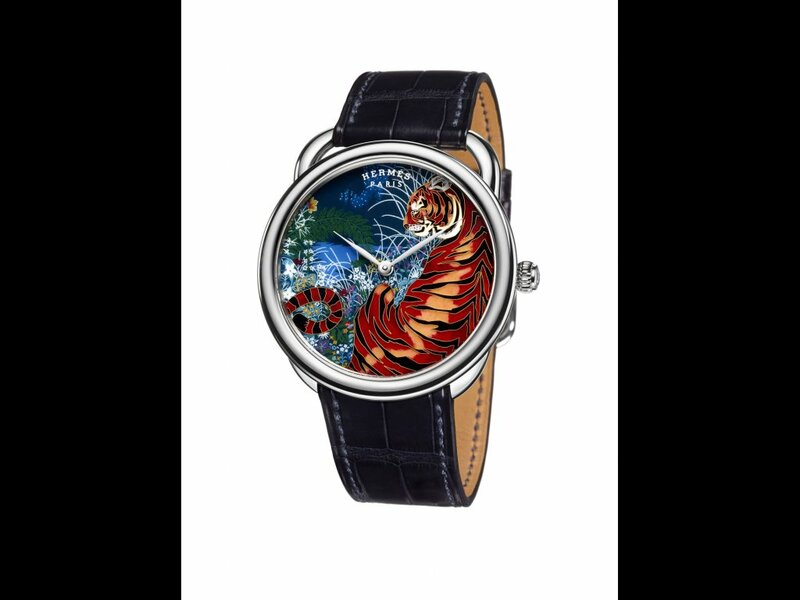 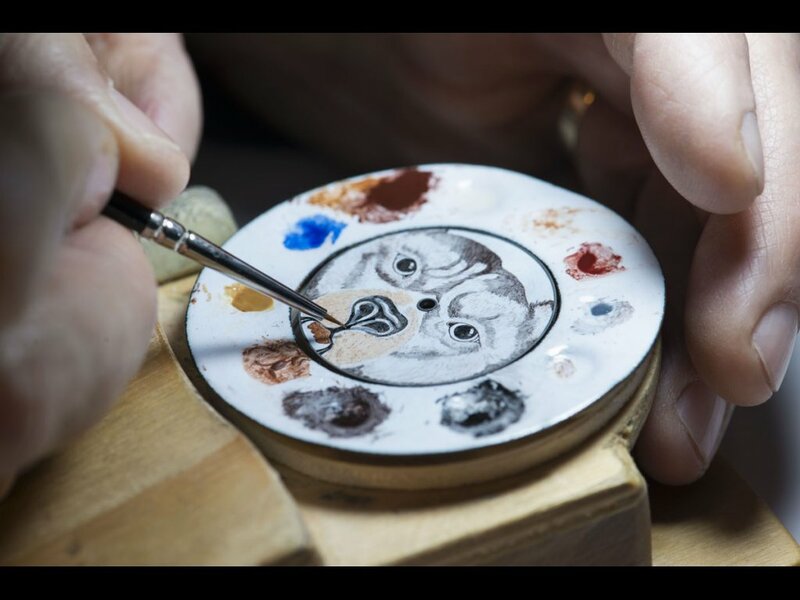 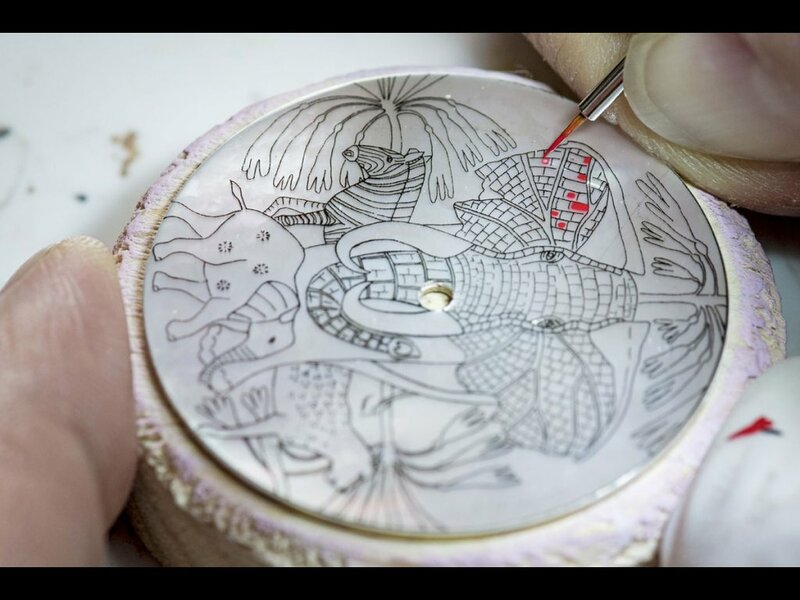 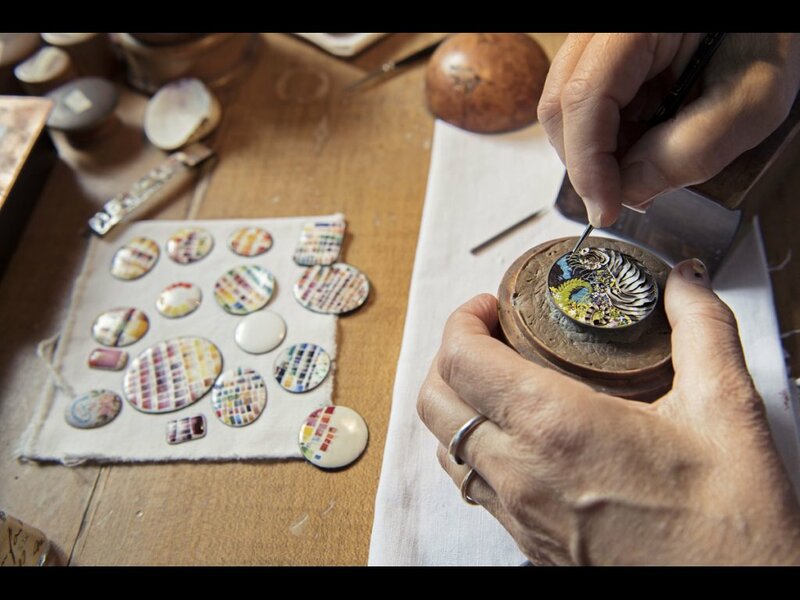 And finally there is the Arceau Tyger Tyger, again the invention of Ms Shirley but here merged with the expert hands of Anita Porchet, the enamelling master behind standout métier d’art pieces for the likes of Patek Philippe and Vacheron Constantin. 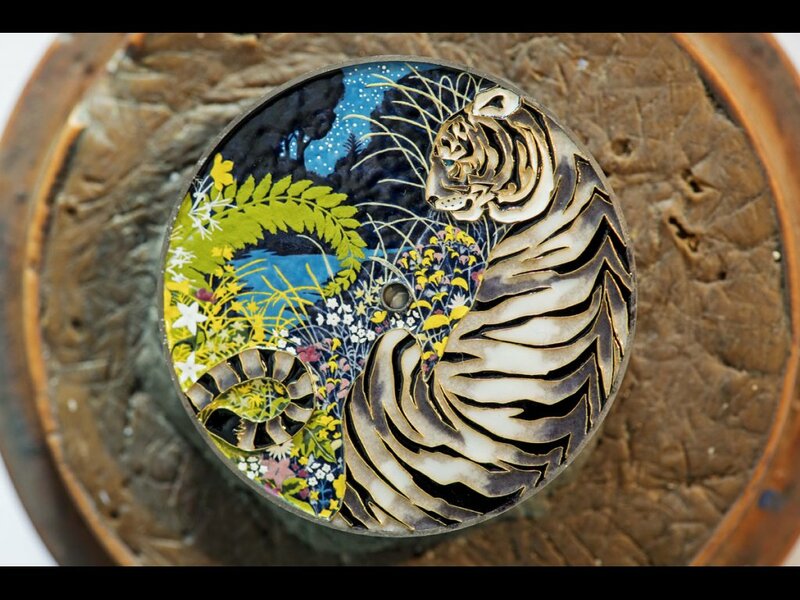 Here she brings Ms Shirley’s lush, moonlit tiger to life by combining miniature painting with cloisonné enamel, further accentuated with moody chiaroscuro effects. 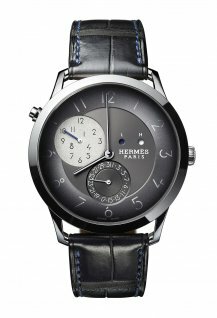 A one-off creation, the 41mm, white gold watch is powered by a 3.7mm thick, H1937 self-winding mechanical movement featuring a 50-hour power reserve.